Millennia before modern-day military recruiters talked up potential soldiers in shopping malls or put up posters, one Roman city took a rather different approach to recruiting soldiers for the emperor's army. A newly translated inscription, dating back about 1,800 years, reveals that Oinoanda, a Roman city in southwest Turkey, turned to a mixed martial art champion to recruit for the Roman army and bring the new soldiers to a city named Hierapolis, located hundreds of miles to the east, in Syria. Flavillianus proved to be so successful as a military recruiter that it was decreed that he be made a "cult figure in the band of heroes" after he died, with each tribe of the city erecting statues in his honor. The inscription, written in Greek, was engraved on the base of a statue found in Oinoanda's agora (a central public space) and would have been erected by the people of the city. Discovered by a team in 2002, it wasn't until now that researchers translated and published it. 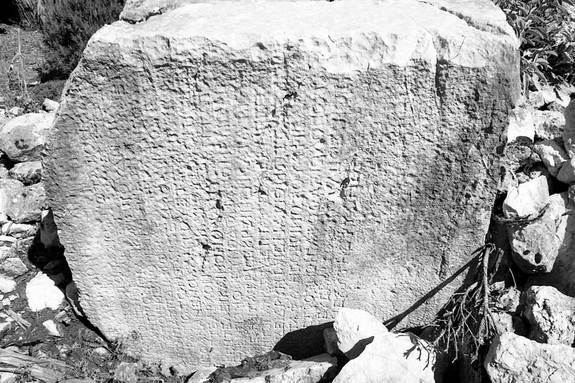 "This is a very unusual piece of evidence that has come to light," said Nicholas Milner, a researcher with the British Institute at Ankara, who published the translation in the most recent edition of the journal Anatolian Studies. Milner explained that in the Roman Empire, this sort of "heroisation" is very rare. The inscription hails Flavillianus as being a "champion athlete," and, from other inscriptions found at Oinoanda, researchers know that the two sports he won championships in were wrestling and pankration. 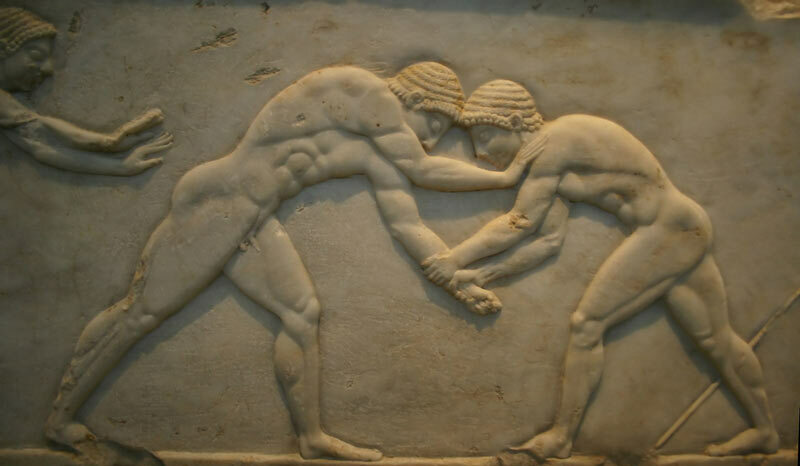 Pankration was such a bloody sport that it had only two known rules: no eye-gouging and no biting. Aside from these restrictions, anything was fair game. Philostratos, an ancient writer who lived around the same time as Flavillianus, wrote that pankration competitors are skillful in different types of strangulation. "They bend ankles and twist arms and throw punches and jump on their opponents," (Translation from the book "Arete: Greek sports from ancient sources," Stephen Gaylord Miller). By the time he took up duties recruiting soldiers Flavillianus would have been a mature man who had fought and prevailed in many of these contests. His father even boasted about his son's success in an inscription on his own mausoleum writing that Flavillianus, "who having trained at pankration won crowns for victories in sacred games." This experience as a champion fighter, and the fame that came with it, would have helped Flavillianus in his task. "He would have been able to judge suitable recruits, and he probably knew lots of suitable recruits," said Milner. Also "being a top athlete was a kind of celebrity status in Roman times," he said. "A celebrity would have a greater ability to drum up support and large numbers of volunteers than somebody who was not a celebrity." It is possible, however, that some of the soldiers Flavillianus recruited were conscripted against their will. Flavillianus would have personally escorted his recruits to Hierapolis, but beyond that, Milner said, scholars don't know if the champion joined the Roman army himself. Milner isn't sure why Flavillianus became an army recruiter, though he suggests he was likely motivated by honor. If he hadn’t done the job it would have fallen to the community at large (especially those who were wealthy) to drum up recruits. "This was a society that was driven by the competition for honor, particularly at the top of the city," Milner explained. "They were competing to outshine one another in the eyes of their local community and hopefully also in the eyes of the Roman authorities." Ironically, many of the issues mentioned in the inscription are those that confront us today. Over the last decade, mixed martial arts has become a popular sport in western culture, albeit with many more rules. Military recruitment methods are also a hot topic today. Even the enemy the ancient Roman recruits would potentially have been fighting, the Persians, based in modern-day Iran, are today seen by some as a potential adversary for the United States and other nations. These parallels between the ancient world and modern times are not lost on Milner. He explained that Roman civilization, with the external threats they faced, tended to be fairly militarized. The idea of using a celebrity athlete as a "rallying point" for recruitment is an idea that could well be used today. "If we were faced with a similar situation we might well find ourselves responding in rather similar ways," Milner said. "In some ways, the people of the ancient world were not so different from us and we can see ourselves in them."